NoJo Baby Bots Hamper by NoJo at Indsight. MPN: 5760028. Hurry! Limited time offer. Offer valid only while supplies last. NoJo - Baby Bots Hamper. Help to keep your nursery organized with this fashionable Robot hamper. Includes a removable mesh liner for easy access. NoJo - Baby Bots Hamper. 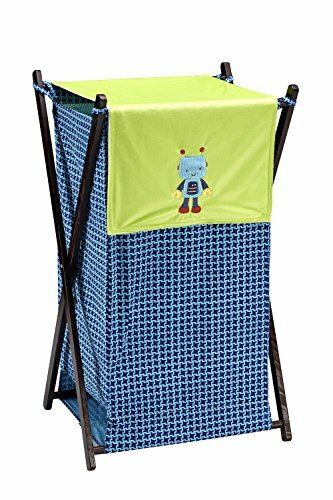 Help to keep your nursery organized with this fashionable Robot hamper. Includes a removable mesh liner for easy access. Wood frame folds flat for storage. Colors are navy and light blue check fabric with robot applique in lime and navy accents.